Essential item for testing and diagnosis! 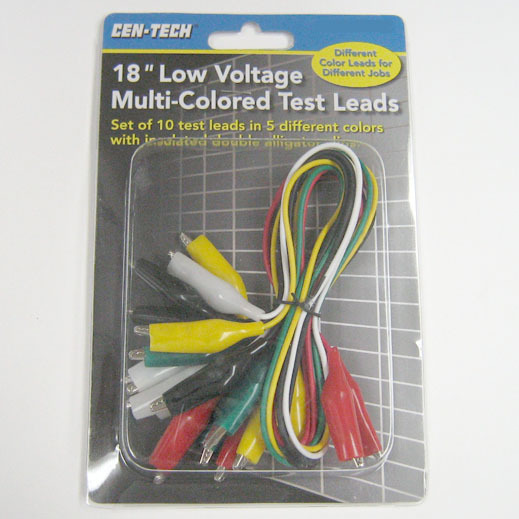 10-piece clip-on test lead set. Each lead is 18 inches long. Use as jumper wires to diagnose electronic problems in any game. Features easy-to-use "alligator" clips on ends of each lead. 5 different colors. Must-have item!